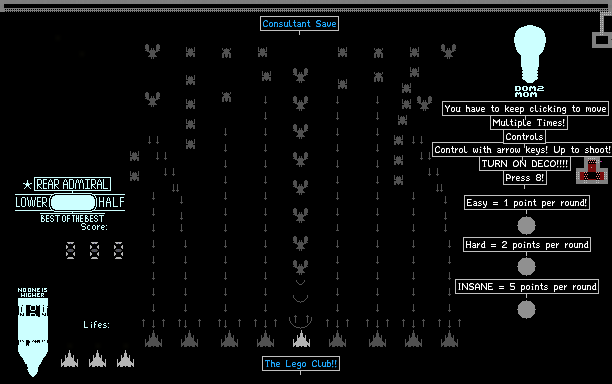 A Galaga game with score, lifes, and rounds. Thanks to ACCount- for the score counter. Hope you enjoy! Post your score in the comments! FP again... it amazes me that this is STILL getting voted up even though it's not on FP. @fuzzybug123, lol, I didn't do too much. lol... thats dom2mom for ya!